There is no direct way to download SQL Server data into Access using code, you can’t use a ADODB recordset or command to download the data, since they only «see» the SQL Server side and don’t have exposure to your Access data. The technique I’m providing here will use a temporary pass-through query, then using it with a make table query to create the local Access table copy of your SQL data. 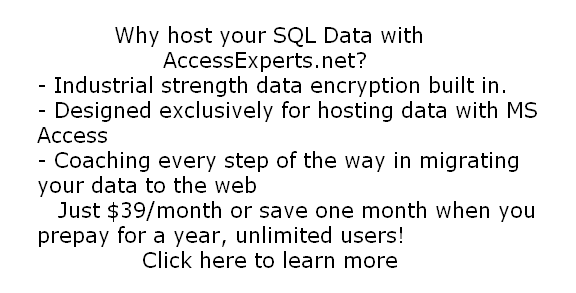 ‹ Thinking about hosting your SQL Server database on the web?